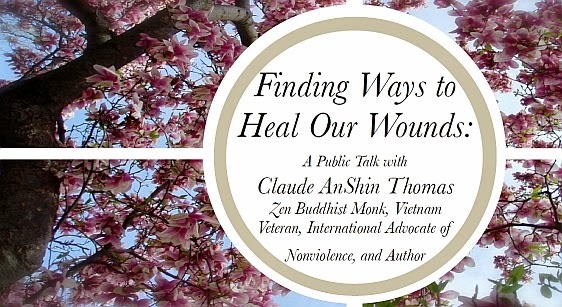 Claude AnShin Thomas, a Zen Buddhist Monk and Vietnam veteran noted for his work with veterans and post-traumatic stress, will give two public talks and lead a Day of Meditation here in Maine this April. On Wednesday, April 23 at 7:30pm, Claude AnShin Thomas will be speaking at the Church of Universal Fellowship, 82 Main Street, Orono, Maine. Admission is $5 to cover organizational expenses plus donation to support Claude AnShin Thomas' life and work. No one will be turned away. All proceeds benefit the non-profit Zaltho Foundation, Inc. Please contact Daryne at stringsandstiches@yahoo.com for more information. On Friday, April 25th at 7:00pm, Claude AnShin Thomas will be speaking at the Camden Opera House, 29 Elm Street, Camden, Maine. Admission is $10 to cover organizational expenses plus donation to support Claude AnShin Thomas' life and work. No one will be turned away. All proceeds benefit the non-profit Zaltho Foundation, Inc. Please contact Jay at jaymason48@gmail.com for more information. 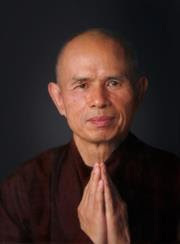 On Saturday, April 26th from 8:30am to 5:00pm, Claude AnShin Thomas will lead 'A Day of Meditation for Veterans and Others Living With Post-Traumatic Stress' at Point Lookout, 67 Atlantic Highway (Route 1), Northport, Maine. There is a $30 charge for the day which includes lunch and tea/coffee. Please contact Jay at jaymason48@gmail.com to pre-register (recommended) or for more information. We spend most of our life living in a state of forgetfulness. Sometimes when we wake up in the morning, we are consumed by suffering, full of fear, doubts, shame. The physical wounds of war and violence, although significant, cannot be considered differently than the wounds that cannot be seen. But when we have the courage to touch these emotions and wounds, to establish a different relationship with them, we then have the possibility to make different choices in our life and to heal.